Pioneers in the industry, we offer double beam crane, single beam crane, single beam gantry crane and single beam overhead crane from India. We offer a huge range of Double Beam Crane that is manufactured from the best available materials in the industry. Our clients can avail from us a wide range of Single Beam Crane. These Single Beam Crane exhibit high tenacity and durability with reliable outputs. 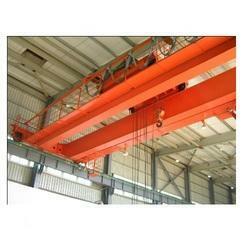 These beam cranes are extensively used to lift and shift loads from one place to another. It is made available in different specifications as per the information laid down by our clients. Clients can avail this crane from us at market leading price. 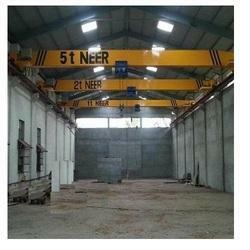 Our clients can avail from us a wide range of Single Beam Gantry Crane. These Single Girder Overhead Crane are highly suitable for production units or warehouses for material handling purposes. These cranes are fabricated by us keeping into consideration the Indian standards. Dimensionally accurate and functionally superior, these cranes are immensely used in diverse industries for material handling.